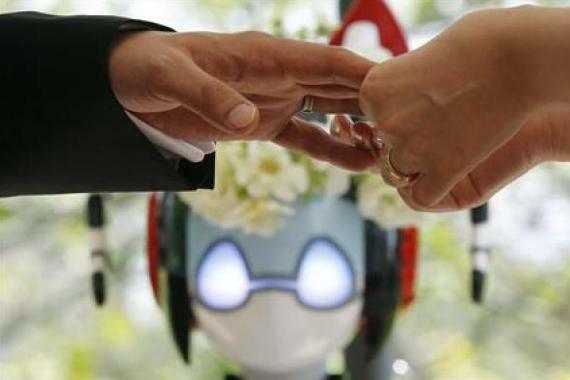 The first marriage to be officiated by a robot took place in Japan this past Sunday. 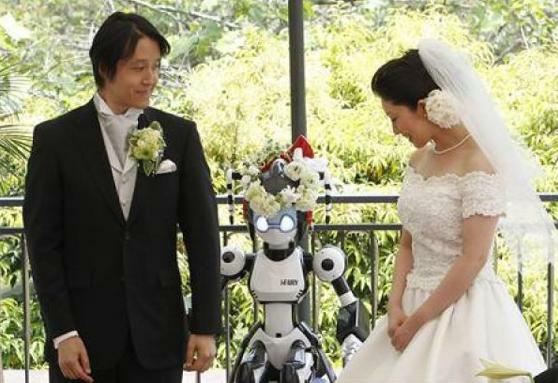 A humanoid robot named I-Fairy stood in as witness at the ceremony between Tomohiro Shibata and Satoko Inoue of Tokyo. "The bride, Inoue, works for the company that makes the i-Fairy, and her husband, Shibata, is a client. 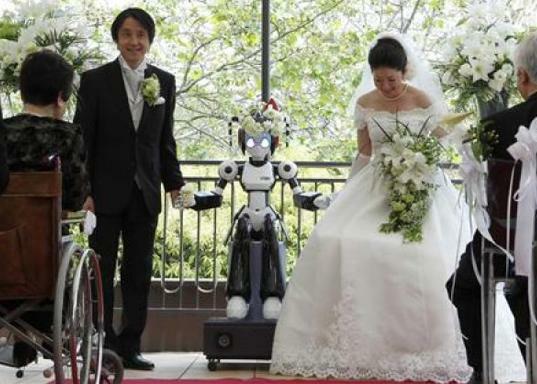 'It's true that robots are what caused us to first begin going out, and as suggested by my wife, we decided that we wanted to try this sort of wedding,' Shibata said after making his vows. 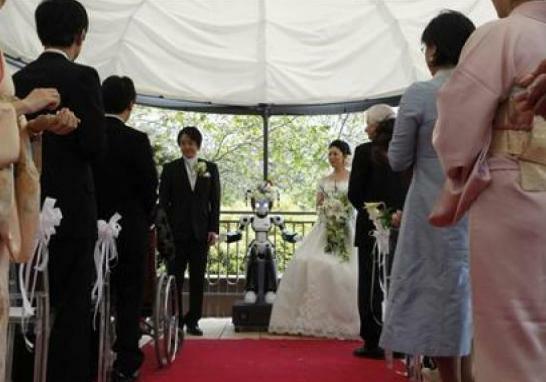 After saying 'I do,' the bride said that she wanted to use her wedding to show people that robots can easily fit into their daily lives. 'I always felt that robots would become more integrated into people's everyday lives. 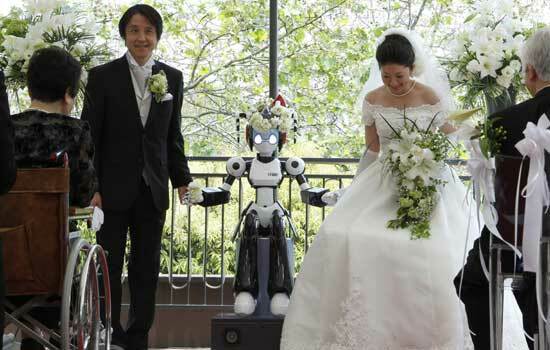 This cute robot is part of my company, I decided that I would love to have it at my ceremony,' Inoue said."